SAVE THE DATE! Saturday, May 4. A celebration of the many FUN ACTIVITIES the Good Times Valley has to offer when the weather is warm! Businesses, organizations and attractions will have the chance to promote themselves to an INTERESTED PUBLIC. Also an opportunity to learn more about some hobbies and recreational activities that make living in the Upper North Platte River Valley so enjoyable in pleasant weather. Vendors: to promote their warm-weather-based businesses. You can sell your outdoor products or services, or share info about your club's summer and fall special events. Educational presentations: We're looking for 30- minute presentations for newcomers and old hands alike to learn more about enjoying the Good Times Valley's great outdoors. Already planned presentations include wild mushroom foraging and cultivation, making your yard bird/wildlife friendly, and a seedling potting workshop for kids. Food vendors! Food trucks and other on-site caterings folks welcome! To reserve a booth ($20 if selling products, free for informational only) or pitch a presentation. Call Joe Elder at the Platte Valley Community Center at (307)-326-7822.Booth fees are to offset the cost of promoting the event. Brought to you by the the Valley Service Organization, the Platte Valley Community Center, and Bridge Street Bargains. It's here! 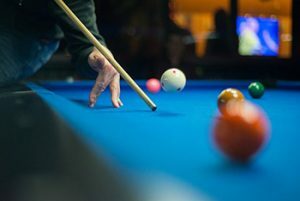 The Annual Andy Cloth Wyoming Open Pool Tournament brings its thrills and excitement back to Saratoga! Sponsored by Saratoga Lions Club and Carbon County Visitors Council. For more information, please call 307-329-8924 or email ejglode@yahoo.com. The Platte Valley Community center is located in the heart of rustic, beautiful Saratoga, Wyoming. We serve the entire North Platte River Valley. PVCC provides space for gatherings of all sorts, and we know that when you're planning an event, you want to make it memorable. We'll see to it that it is! You'll find the Community Center is the perfect place to host your next event: The Center has plenty of room for art shows, wedding receptions, and performing arts that need a quality auditorium with comfortable seating and splendid acoustics. We also welcome meetings and formal presentations and have a variety of services and spaces to accommodate anything you plan. 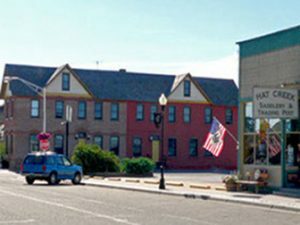 Lodging and dining are available in several venues around town. And the great outdoors is just waiting for you to come and enjoy! "Good things happen when people get together. This building is a testament to people getting together and creating something. Whether it’s for fun, for business, to sell an idea, to get married or to remember someone, I enjoy matching the many capabilities of Platte Valley Community Center with peoples’ wants and needs. It is rewarding to help people that live here find the right space to work, play, learn, teach and make art. I also enjoy helping to bring people to this Valley so they can experience the things that connect me to this place: the people, the schools, the businesses, the year-round outdoor recreation and the open spaces." We are located in Saratoga, Wyoming, in the heart of the Upper North Platte River Valley - also known as "The Good Times Valley." The past and the present come together here, with endless opportunities for outdoor recreation, cultural and historical events, and just plain fun. Come see what good times you can have and what great memories you can make. 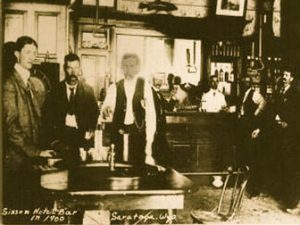 Learn more about Saratoga and the Valley. 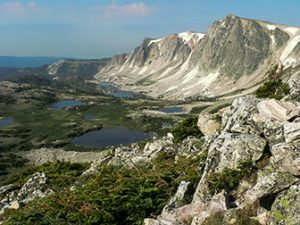 The Upper North Platte River Valley lies in between the Snowy Range and Sierra Madre Mountain Range in southern Wyoming, and is spread along the confluence of the Encampment River and Upper North Platte River. Outdoor enthusiasts enjoy blue ribbon trout fishing, scenic floats, and miles of hiking, mountain biking, ATV, snowmobiling and skiing trails. Learn more about outdoor adventures in the Valley. We're within walking distance to a variety of services in Saratoga and just a short drive from Encampment, so you can spend a night or a weekend comfortably when you come to an event at the PVCC. Both communities boast excellent restaurants, comfortable hotels, motels and resorts, and several "must see" attractions.